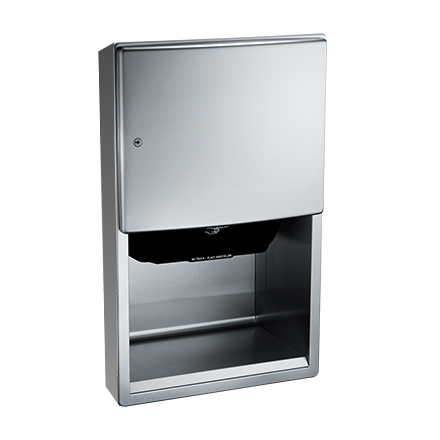 Refill dispenser by unlocking door and replacing towel roll for an empty or partially empty unit. Dispenser supply is replenished and batteries are replaced manually. LED indicates sensing and battery condition. Locking door prevents unauthorized access and roll removal.